One of my biggest headaches when studying English is that I usually mispronounce some foreign words. Vocabulary from French is difficult for me. Vocabulary from Spanish is easier to cope with, but the thing is I usually don’t know the words are from Spanish. For example, I learned about San Jose way back in a junior-high geography class because the city is in Silicon Valley. To be exact, because the class was taught in Chinese, I only learned the Chinese name - 圣何塞 (Sheng Hesai). Years later, I read the city name “San Jose” in an English newspaper and was confused about why the name had been translated into Mandarin as “Sheng Hesai.” I tried to rationalize it by thinking of a common English name “John,” which was irregularly translated into “约翰(Yuehan)” because of religious reasons. I thought 圣何塞 might be also irregular for whatever reason. Last year, when I was talking with an American guy next to me on a plane and mentioned “San Jose,” he immediately laughed and said, “sän hô-ze?” I blushed. I must’ve sounded super uneducated. At the same time, I suddenly realized why it's called 圣何塞 in Chinese. Another word that I’ve mispronounced a few times is "chipotle.“ In an English class about food and restaurants, I told my English teacher that my favorite Mexican restaurant was Chipotle but I mispronounced it, as you can imagine. My English teacher corrected my pronunciation on the spot, but when I repeated the word later, I still mispronounced it. The ending syllable was simply too tricky! After the class, I looked up this word and learned that it was Spanish and referred to a Mexican pepper. One of my biggest headaches about studying English is that I usually mispronounce some foreign words. One of my biggest headaches about when studying English is that I usually mispronounce some/certain foreign words. Spanish vocabulary is easier to cope with, but the thing is I usually don’t know the words are Spanish. Spanish vocabulary is easier to cope with, but the thing is I usually don’t know when the words are in Spanish. For example, I learned about San Jose way back in a junior-high geography class because the city is where Silicon Valley is. For example, I learned about San Jose way back in a junior-high geography class because the city is where in Silicon Valley is. Your original sentence makes it sound as if Silicon Valley is in San Jose. To be exact, I only learned about the Chinese name 圣何塞 (Sheng Hesai) because the class was taught in Chinese. To be exact, since the class was taught in Chinese, we only learned it's Chinese name - 圣何塞. My English teacher corrected my pronunciation on the spot, but when I repeated the word later, I still mispronounced it in an English way. Your sentence makes it sound as if British people mispronounce it in a certain way. Sometimes when I come across a foreign word disguised in the English form, I tend to pronounce it in the English way. Sometimes when I come across a foreign word disguised in the an English form, I tend to pronounce it in the an English way "style". To make things more complicated, the "J" actually comes from German/Latin, which is a transliteration of "Y" or "I". So, when translating the bible from Hebrew to Latin, names with "Y" sounds turned into "J", like "Yarden" -> "Jordan", "Yohanan" -> "John", "Yosef" -> "Joseph", etc. Actually, in German they still pronounce this as a "Y" sound, so names like "Johannes" are pronounced "Yohannes". Later on, in Spanish the "J" became to sound as a 何, hence the pronunciation of San Jose ("Jose" -> "Yose" -> abbreviation of "Yosef"/"Joseph") and such. Jordan", "Yohanan" -> "John", "Yosef" -> "Joseph", etc. Interesting! No wonder they are called 约旦, 约翰, and 约瑟夫. the "bad" translators of Jewish literature. Haha. Thank you so much liad! Another word that I’ve mispronounced a few times is "Chipotle.“ In an English class about food and restaurants, I told my English teacher that my favorite Mexican restaurant was Chipotle but I mispronounced it, as you can imagine. Strictly speaking, "chipotle" is a Náhuatl word (the language spoken by the Aztecs). I'm sure Spaniards have a lot of trouble with longer Náhuatl words themselves. Popocatépetl and Iztaccíhuatl (two mountains just outside Mexico City, that can be seen from the center of town on a clear day) are good examples. Although Náhuatl is still spoken to this day, it has lost a lot of its grammatical complexity over time (I have a book called "The Grammar of Classical Náhuatl" and it's scary hard). LZ probably does a great "j" as in "José" (IPA ”χ“). Very interest things about the languages! Sounds like I'll have to learn to pronounce Popocatépetl and Iztaccíhuatl Cool! One of my biggest headaches in terms of studying English is trying to pronounce foreign words. Hmm, this structure is a bit more natural. French vocabulary is difficult for me. Spanish vocabulary is easier to cope with, but the thing is, I usually don’t even know the words are Spanish. To be exact, because the class was taught in Chinese, I only learned about the Chinese name (圣何塞 (Sheng Hesai)). Well, I assume you just learned the name instead of learning about it. If you learned about the name, you would have studied the origins of the name or something like that. Also, liad's suggestion to rearrange the sentence is good. In the original position, it could sound like "the only reason we learned the Chinese name was that the class was taught in Chinese." Years later, I read the city name “San Jose” in an English newspaper and got confused why the name had been translated into Mandarin as “Sheng Hesai.” I tried to rationalize it by thinking of a common English name “John,” which was irregularly translated into “约翰(Yuehan)” because of some religious reason. Years later, I read the city name “San Jose” in an English newspaper and got confused about / as to why the name had been translated into Mandarin as “Sheng Hesai.” I tried to rationalize it by thinking of the common English name “John,” which was irregularly translated into “约翰 (Yuehan)” for some religious reasons. I thought 圣何塞 might be also irregular for whatever reason. Last year, when I talked with an American guy next to me on a plane and mentioned “San Jose,” he immediately laughed and said, “sän hô-se?” I blushed. Last year, when I was talking with an American guy next to me on a plane and mentioned “San Jose,” he immediately laughed and said, “sän hô-zey?” I blushed. OMG, I must’ve sounded super under-educated. OMG, I must’ve sounded super uneducated. Fyi, you don't have to write "omg" in all-caps. More natural would be "Omg." Writing it in all-caps emphasizes it and makes you should really shocked. At the same time, I suddenly realized why it's called圣何塞 in Chinese. My English teacher corrected my pronunciation on the spot, but when I repeated the word later, I still mispronounced but in a more English way. Liad's point is valid, but I feel like people will generally interpret this in the way you mean it. If you want to be super clear, though, you can say "in a more anglophone way." The ending syllable was simply too tricky! After the class, I looked up this word and learned that it was Spanish and referred to a Mexican pepper. The reason I usually mispronounce words like that is I don’t live in an English environment so I read English more than I listen to it. Sometimes when I come across a foreign word disguised in the form of an English word, I tend to pronounce it in an English way. If I pick up a Spanish word by listening, I usually get the correct pronunciation. Thank you so much Lynkusu! As always! One of my biggest headaches about/when/in studying English is that I usually mispronounce some foreign words. Vocabulary from French is difficult for me. "French vocabulary" sounds like French words used in French. I assume that you are talking about words in English which come from French words. Vocabulary from Spanish is easier to cope with, but the thing is I usually don’t know the words are from Spanish. "Silicon Valley" is a nickname for the Santa Clara Valley, which is the location of several cities, including parts of San Francisco. It is called that because there are many high tech(nology) companies in that region. Sometimes "Silicon Valley" is used as a synonym for the high tech industry. Either way, it covers a wider area than just the city of San Jose. Years later, I read the city name “San Jose” in an English newspaper and was confused about why the name had been translated into Mandarin as “Sheng Hesai.” I tried to rationalize it by thinking of a common English name “John,” which was irregularly translated into “约翰(Yuehan)” for religious reasons. When you're using it as the name of a restaurant, it's correct to capitalize it, but the word itself doesn't need a capital letter. The reason I usually mispronounce words like that is I don’t live in an English-speaking environment so I read English more than I listen to it. Sometimes when I come across an English word which is borrowed from another language, I tend to mispronounce it. One reason that Spanish words are easier to pronounce than English words is that Spanish spelling is phonetic. One has to learn a couple of rules about what sounds correspond to Spanish spellings, but once one knows those rules, Spanish words are almost always pronounced exactly the way they're spelled. In contrast, English spelling is completely inconsistent and illogical. It must be a nightmare for people who are learning English as a foreign language. Thanks for all the corrections and pointers! One of my biggest headaches when studying English is that I usually mispronounce some foreign words. More succinctly - One of my biggest headaches when studying English is that I usually mispronouncing some foreign words. The original is possible; here is a more compact choice: French vocabulary is particularly vexing / difficult / problematic / challenging. The original is possible; here's a more succinct alternative: Spanish vocabulary from Spanish is easier to cope with, but often the meaning is opaque. For example, I learned about San Jose way back in a junior-high geography class because the city is in Silicon Valley. In American English - For example, I learned about San Jose (way) back in a junior-high geography class because it is in Silicon Valley. To be exact, because the class was taught in Chinese, I only learned the Chinese name - 圣何塞 (Sheng Hesai). Years later, I read the city name “San Jose” in an English newspaper and was confused about why the name had been translated into Mandarin as “Sheng Hesai.” I tried to rationalize it by thinking of a common English name “John,” which was irregularly translated into “约翰(Yuehan)” because of religious reasons. Last year, when I was talking with an American guy next to me on a plane and mentioned “San Jose,” he immediately laughed and said, “sän hô-ze?” I blushed. I must’ve sounded super uneducated. COMMENT: Interesting. This usage of the word "super" is a feature of the West-Coast American dialect. In other parts of the world, it is less common. At the same time, I suddenly realized why it's called 圣何塞 in Chinese. 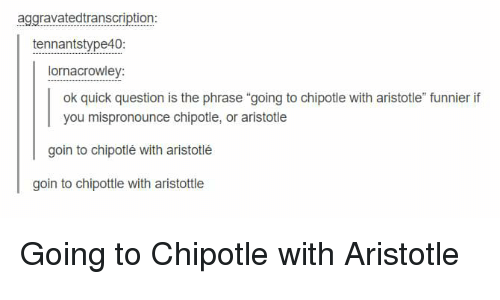 Another word that I’ve mispronounced a few times is "chipotle.“ In an English class about food and restaurants, I told my English teacher that my favorite Mexican restaurant was Chipotle but (I) mispronounced it, as you can/might imagine. My English teacher corrected my pronunciation on the spot, but when I repeated the word later, I still mispronounced it. More succinctly - My English teacher corrected my pronunciation on the spot, but the error persisted. After (the) class, I looked up this word and learned (that) it was Spanish and referred to a Mexican pepper. SUGGESTION: Instead of repeating the word "I" four times in one sentence, you might consider this wording - Such pronunciation errors occur because I don’t live in an English-speaking environment, so I encounter written text more than spoken words. Particularly is the southwestern USA, there is a blending of Spanish and English. avoid using Spanish terms to mark their "anglo" identities. Thank you so much 新田博! "language is inherently political and some anti-hispanic people avoid using Spanish terms to mark their "anglo" identities. " Ah, that's hard to believe. Got it anyways! Years later, I read the city name “San Jose” in an English newspaper and [was confused about / wondered] why the name had been translated into Mandarin as “Sheng Hesai.” I tried to rationalize it by thinking of a common English name “John,” which was irregularly translated into “约翰 (Yuehan)” [because of / for] religious reasons. Just a couple of suggestions. And don’t forget to add a space before the left parenthesis mark. The American pronunciation of “José” and “Chipotlé” is very different from the Mexican pronunciation of these words. Thank you so much 臭豆腐! Thanks for correcting and commenting!